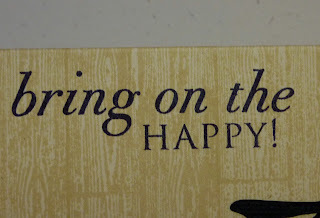 crafting with katie: Bring on the Happy! All my brother wanted for his birthday was some money for a road bike, so this was the card I made for him. It was inspired by a picture that I recently saw on Pinterest. It was very quick to make. I started with a 4 1/4" x 11" piece of fine linen cardstock, scored at 5 1/2". I stamped the background with fine linen ink and the Papertrey Ink Background Basics: Farm & Barn stamp set. 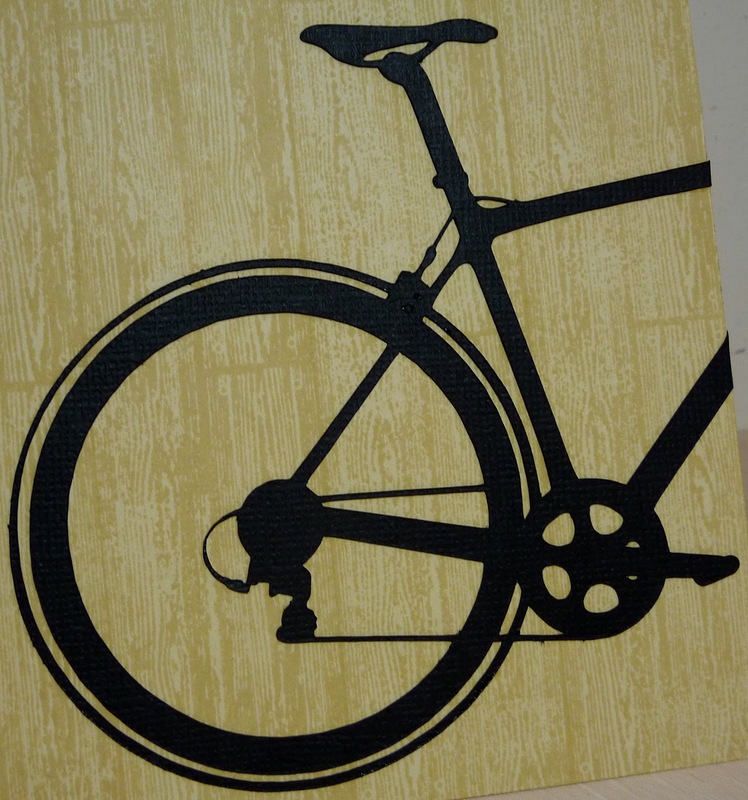 This adorable bike, by Cali Arroyo, was cut at 4.2" with my Silhouette. Isn't the fine detail amazing? I just trimmed off the front half of the bike. 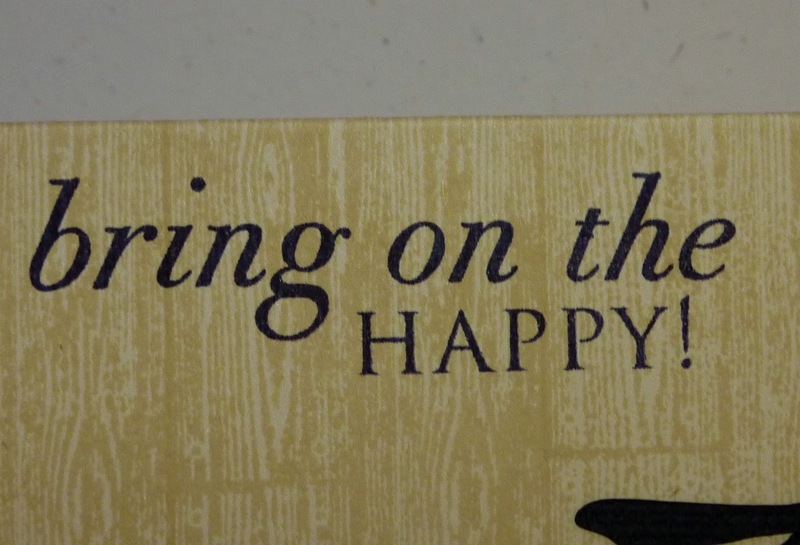 The sentiment is from Papertrey Ink's Big Birthday Wishes stamp set. The card is perfect! Love the bike image! Wow I thoght that Bike was a Stamp!! Very cool, so want a silhouette!! This is so fun! What a fabulous idea!!! Katie ~ OMG! I LOVE this card! So CAS! That background stamp is so on my list for sure ~ it is just AMAZING! I LOVE the bike image too! I bet he LOVED his card and good luck with the bike thing too! What an ENABLER you are to me! so so awesome.. i love seeing you use the silhouette. Don't you just LOVE that Cameo machine! This bike is cut perfectly! And I love the simplicity of the card. It really brings out the sentiment and that bike! 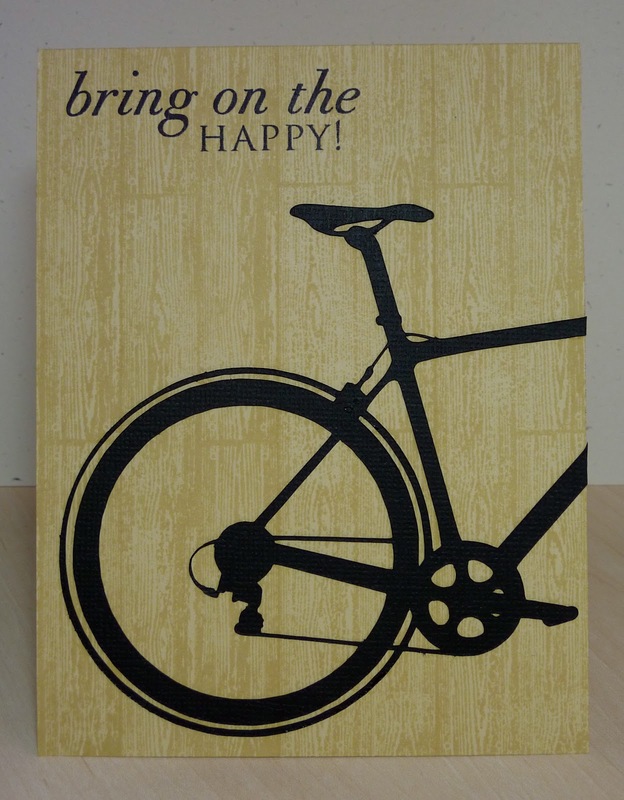 I love this idea...you could continue the front of the bike on the inside too...or keep it and use it for his next year card! Awesome card! And thanks for sharing your inspiration pin; it makes me want to try that!